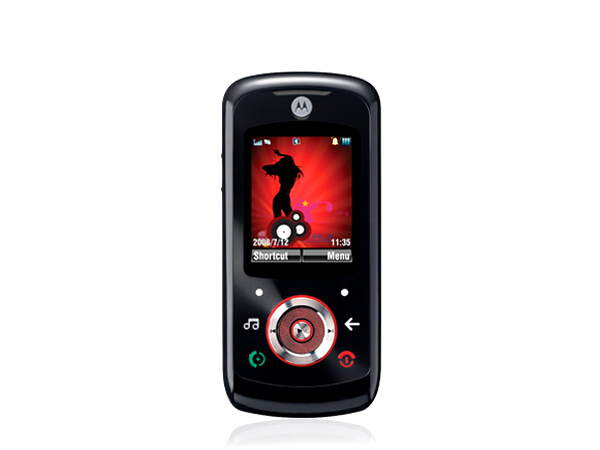 If you�re already familiar with Motorola phones you�ll know by now that their low-end handsets are best avoided. 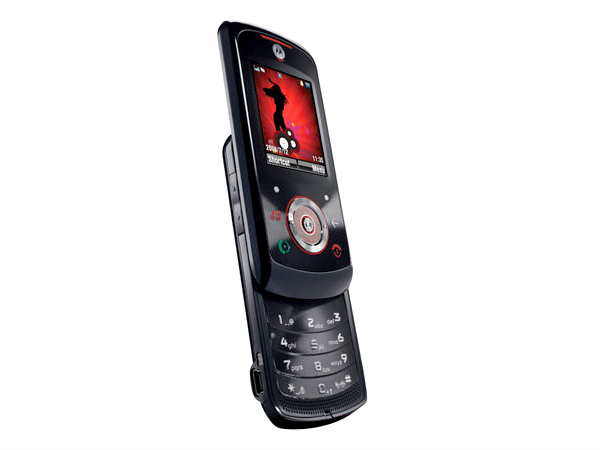 But if you thought you know how bad these phones really are then maybe you haven�t checked out the Motorola EM325. In the review below, you�ll be lucky to spot any one good thing about this phone that justifies its price. And if you do find anything, you will still be appalled by the disproportionate number of cons. Motorola have always made good looking handsets, the Moto EM325 is no less gorgeous. This classy looking piece of hardware is available in only one colour- glossy Black. It looks great from the front thanks to the red and silver accents. And if this isn't beautiful enough, the back is simply amazing. 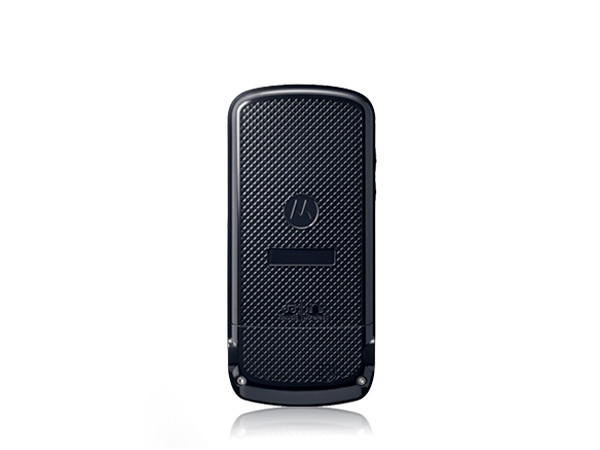 It features engravings that we never normally see on other Motorola handsets. 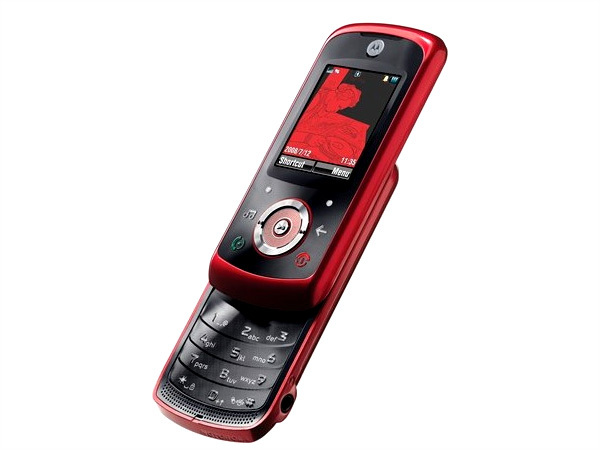 With the EM325, it's clear that Motorola have strayed from their industrial looking discotheque-worthy designs for a more understated and subtle look. This dedicated music phone has a smallish screen at the front. Measuring at 1.8 inches diagonally and producing 65K colours over a resolution of 128 x 160 pixels, this display produces images of appalling quality. At the price you pay for this phone, you would normally get a handset with a 2-inch screen that produces no less than 256K colours over QVGA resolution. What's more is that this sufficiently large screen estate of 2-inches is easily available on bar phones which tend to accommodate smaller screens on account of less space. Let me reiterate that this phone is a slider and sliders generally have bigger screens than their bar phone counterparts. But if you can forgive the EM325 for this one failing, we can move on. Below the screen is the D-pad and because the screen is so small, Motorola have had a lot of space to work with when designing it. Sliding the phone up reveals the hidden alphanumeric keypad. It is a mixed bag so we leave the final opinion to you: on the bright-side this keypad has widely spaced keys and great amount of head-room on the top and bottom rows but on the down-side, the keypad is flat and offers little tactility. Press feedback is surprisingly good for its flat form and users will notice that the phone responds with a soft audible click. On the whole, the phone's build is robust but the slider wobbles noticeably when in motion. Moving on, we come to the phone's UI. It is the Linux/Java based MOTOMAGX that is doing the rounds on recent rokr phones. It is intuitive yet simple but tends to get sluggish when scrolling long lists or accessing the memory card. The phone's telephony is decent at best albeit Motorola's proprietary Crystal-Talk technology. It seems like Crystal-Talk is only a marketing gimmick and seems to makes a difference only on Moto's higher end phones. There are also some reports of the phone overheating with repeated usage which is a rare occurrence among cell phones and definitely not a good sign either. The phone's music player is pretty advanced for its price range and has a host of features including 11 equalizer presets, album art and the option to drag and drop music onto the phone. The audio quality is decent at best. Motorola at least give users the option to plug in virtually any headset or earphone which should improve the sonic experience. There is also a built-in FM radio which can record broadcasts for future playback. The loudspeaker is extremely poor- while the volume output is good, the quality is bad and sound tends to get distorted at higher volume. The camera is a meager 1.3MP fixed focus unit that only takes photos. Motorola have intelligently decided to forgo video capabilities since 1.3MP CMOS sensors capture dismal videos anyway. Daylight shots come out the best but night photography is a definite no-no. The camera also offers 4x zoom and a few settings. It's hard to justify the purpose of this phone or the market it's targeted at. The features this phone packs in are easily available on handsets that cost only half its price. And at the price of the EM325, you could just as easily get a much more capable music monster like the Nokia 5130 or the Sony Ericsson W350i or the LG GM200. All of which also have better firmware and EDGE connectivity. Our verdict? Don't purchase this phone.